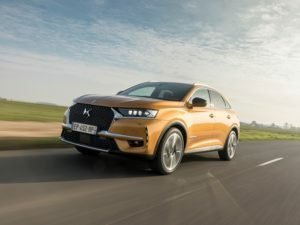 All future DS models will be either hybrid or electric by 2025, the French brand has revealed. The news comes as the brand readies for the autumn launch of the DS7 Crossback E-Tense 4×4– the PSA Group’s first PHEV – which offers 300hp and a 30-mile EV driving range. This comes ahead of the reveal of the first 100% electric DS model at the next Paris Motor Show. PSA has previously announced its plans, including the launches of seven plug-in hybrids and four electric vehicles by 2021, across two platforms, not including products which will launch under its recently acquired Vauxhall and Opel brands. Opel has also announced that it will launch its first PHEV in 2020 for the Grandland X.